Have you ever wondered what makes the earth fit for survival in spite of the fact that majority of the populace have problems in one way or the other? It is always a war of nature versus nurture. There is a plethora of powerful noble hearts that nurture themselves by extending a hand to nurture others. The century’s worst flooding hit Chennai city in December 2015; Bhumi volunteers along with a consortium of organisations worked for immediate relief efforts, helping transport few tonnes of relief materials and hundreds of food packets since the tragedy struck. Bhumi volunteers also helped communities, at relief camps, in rescues, and at collection centres. In the weeks to months afterward Bhumi shifted focus to long term rehabilitation of educational institutions and the poor. 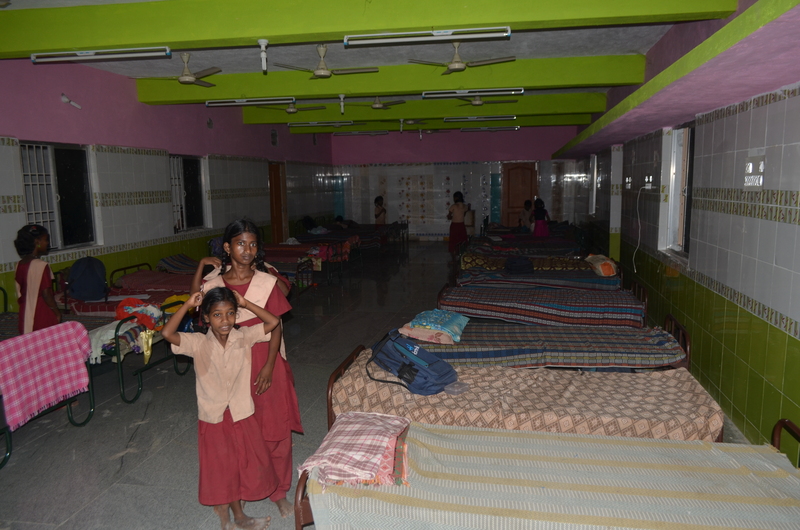 Baba Gurukulam, located at Pozhichalur (near Pallavaram, Chennai), serves as the home to 58 orphaned children and over 20 helpless senior citizens children since 1994. Mr. Dayalan, the care-taker of Baba Gurukulam, recalls that the December 2015 flood was the worst calamity they had faced, since inception. Water flooded the ground floor completely and remained stagnant for 4 days, destroying all provisions, clothing, electronic appliances, books and documents. Though the first floor of the premises was sufficient to accommodate all residents, the only 4 toilets that the home comprised were all located in the submerged ground floor. Pathetically, the aged and the children had no space to bathe or defecate. A month post floods, when the focus shifted from relief measures to restoration, Baba Gurukulam, was identified by Bhumi as one of the homes that needed rehabilitation. Studying the requirements, the old toilets were demolished and five new lavatories and five bathrooms were constructed on each floor. The flooring was completed for the girls hostel and fitting of basic electrical appliances were also undertaken for the comfort and safety of residents. 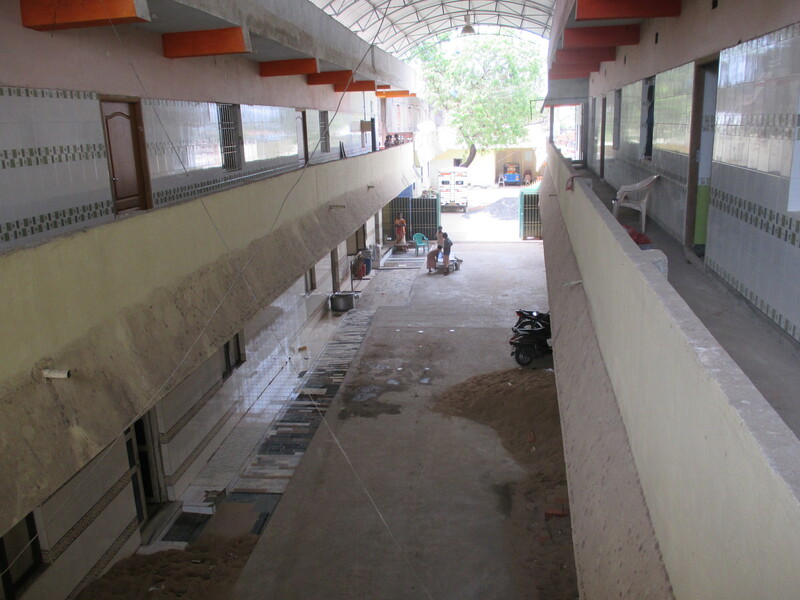 During renovation of ground floor toilets; after completion of first floor toilets and bathrooms. The construction work and other measures weren’t restricted to relief or restoration but extended itself to comprehensive reinforcement, such that the shelter home could resist any such calamity in future.